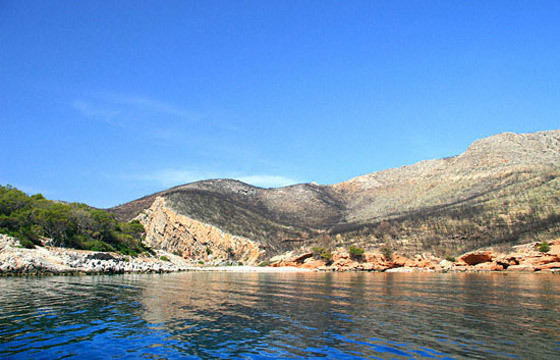 Nisiza is a pebbled beach at the south eastern part of the island where the ancient seaport of the settlement of Episkopi used to be located. This is a not organized secluded place with beautiful waters which used to be surrounded by pine trees before a catastrophic fire that left only a small part of it intact. If you do not prefer following the path from the port of Hydra, a sea taxi could take you there upon request for it is not a regular route.